Gold prices steadied on Thursday as the dollar remained near its 2018 high on strong U.S. bond yields, with investors also keeping an eye out for any further impact from U.S. President Donald Trump's decision to withdraw from the nuclear deal with Iran. Spot gold edged up 0.1 percent to $1,313.94 per ounce. 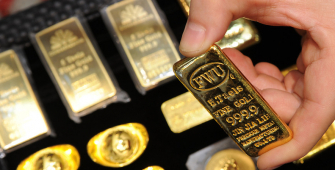 U.S. gold futures for June delivery gained 0.1 percent at $1,314.10 per ounce. Dismayed European allies sought on Wednesday to salvage the deal with Iran after Trump ordered sanctions be re-imposed on Tehran. The dollar held firm on Thursday after the 10-year U.S. bond yield rose back to the psychologically important 3 percent mark and investors looked to U.S. consumer price (CPI) data due later to show a acceleration in inflation. The U.S. CPI data will also be scoured for outlook on the Federal Reserve's interest rate hike path after softer-than-expected data earlier this month did little to reduce expectations of a June interest rate hike. Holdings of SPDR Gold Trust, the world's largest gold-backed exchange-traded fund, dropped 0.14 percent to 862.95 tonnes on Wednesday. Among other precious metals, silver climbed 0.1 percent higher to $16.50 an ounce, after notching a two-week peak at $16.62 in the previous session. Platinum added 0.3 percent at $912.50 an ounce while palladium was up 0.1 percent at $976.30. Britain's manufacturing sector contracted during March, according to figures released by the Office for National Statistics, which emphasizes the “sluggish” economic performance in the first quarter. While heavy snow storms swept through Britain in early March, the ONS reiterated its earlier statement that this had little overall impact on the economy's performance in the first three months of 2018. Manufacturing output dropped 0.1 percent compared to the previous month as both domestic and export orders fell, the ONS said. Overall industrial output, which includes utilities and the UK's North Sea oil and gas fields, increased by 0.1 percent. “Manufacturing was broadly flat throughout the first quarter following several months of strong growth, with no evidence that the bad weather hampered UK factories as both domestic and international sales stalled. Machinery, transport and computer manufacturers all saw their output grow. This was largely offset by falling production of electrical equipment and oil refining”, according to ONS head of national accounts Rob Kent-Smith. 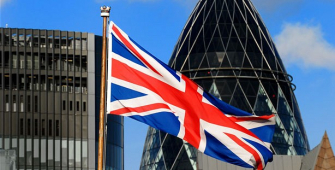 A lack of clarity around Britain's terms of departure from the European Union in less than a year, as well as a slowing eurozone economy, are among reasons cited for Britain's disappointing performance of late. The ONS said the impact from the recent data on its preliminary estimate of first quarter economic growth, which showed only a 0.1 percent quarter-on-quarter increase, was negligible. Separate ONS data showed Britain's goods trade deficit with the rest of the world grew to 12.287 billion pounds in March from 10.414 billion pounds in February. Nonetheless, the ONS indicated that net trade was likely make a very small positive contribution to economic growth in the first quarter. The ONS also published figures for construction output, which fell 2.3 percent on the month in March, after a fall of 1.0 percent in February. Prime News are provided byInstaForex. The U.S. central bank should continue its gradual strategy to lifting federal fund rates given that inflation has not yet hit the Federal Reserve's 2 percent target in a sustained manner, according to Cleveland Fed President Loretta Mester. In her prepared address for a speech in Paris, the Fed official expressed her view that the medium-run outlook supports the continued gradual withdrawal of policy accommodation. She said that it seems to be the best strategy for striking a balance between the threats to both the Fed's policy goals and preventing a build-up financial stability risks. 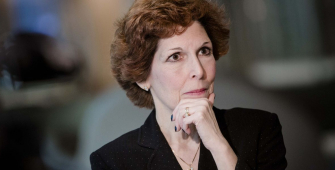 Mester, who has a vote on monetary policy this year, said that she does not see inflation significantly picking up, adding that while it is near the Fed's 2 percent goal, it will only hit that level on a sustainable basis over the next one to two years. She said that she wants to give inflation sufficient time to return to its goal, a point against a steep rate hike path. The Fed official reiterated her stance that the central bank should start to review whether its inflation framework is suitable for the future and could make monetary policy more effective in achieving the central bank's achievements. 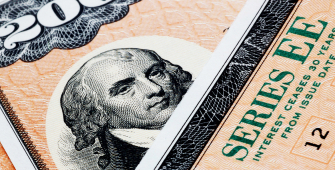 The yield on the 10-year Treasury note rose on early Tuesday to reach levels since 2011 after a solid retail sales figures underlined the economy's stable momentum. The rally in yield comes amid resurgent concerns that negotiations between the U.S. and China continue to be challenged, stoking concerns that a potential trade war could drive up prices and inflation higher- which has negative implication for bonds. Yield on the 10-year Treasury note yield surged 7.5 basis points to 3.070 percent, the highest since July 2011, and notching its biggest single-day increase March 1, according to WSJ Market Data Group. The yield reached an intrasession high at 3.093 percent, according to FactSet data. The 30-year bond yield rose 8.1 basis points to 3.210 percent, the biggest one-day increase since February 2. The short-dated two-year note yield rose 3.9 basis points to 2.585 percent, extending a yield move close to a decade peak. The day's trading helped to increase the yield gap between two-year and the 10-year rate to 48.5 basis points. The threat of increasing borrowing rates have given investors in risky assets a reason to pause, with the benchmark 10-year note again tested the yield level above 3 percent, which have previously caused friction in markets, challenging investors' appetite for assets perceived as risky against safe haven assets such as bonds. 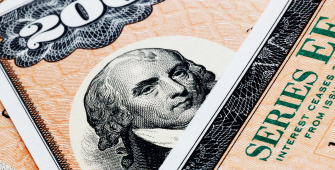 U.S. government bonds experienced renewed selling pressure, allowing the yield on the benchmark 10-year Treasury note to continue a rally that a day prior brought it to its highest level since 2011. The 10-year Treasury note yield edged up 1.1 basis points to 3.093 percent, after recording the biggest one-day gain since March 1, according to WSJ Market Data Group. The move left the yield at its highest level since July 7, 2011. The 30-year bond yield increased 0.4 basis points to 3.214 percent, after the long bond market marked its biggest daily yield increase since February 2 in the prior session. Yield on the short-dated two-year note yield, on the other hand, pared an earlier loss to rise 0.4 basis points to 2.589 percent. The yield curve, which measures the spread between the two-year and 10-year yields, continued to reverse some of its recent flattening. Markets are now monitoring developments in Asia, with North Korea's threat to withdraw from a summit planned for next month with the U.S., stoking concerns that a brief easing of hostilities between the two nations may be coming to an end. Meanwhile, Italian government bond yields surged following a report said anti-establishment parties in discussion to establish a government would ask the European Central bank to write off 250 billion euros in debt and ask to renegotiate Rome's contribution to the European Union budget. The yield on the 10-year Italian government bond rose16.2 basis points to 2.113 percent. New applications for U.S. jobless benefits increased more than expected last week, but the number of people continuing to collect unemployment benefits fell to 1.71 million in the week ended May 5, the lowest since December 1973, which points to diminishing labor market slack. Separate data also showed a pickup in mid-Atlantic factory activity this month, with manufacturers saying they were boosting employment and asking for higher prices for their products. The combination of a tightening labor market and firming inflation bolsters expectations the Federal Reserve will hike interest rates in June. Initial claims for state unemployment benefits rose 11,000 to a seasonally adjusted 222,000 for the week ended May 12, the Labor Department said. The labor market is viewed as being close to or at full employment, with the unemployment rate near a 17-½ -year low of 3.9 percent and within striking distance of the Fed's forecast of 3.8 percent by the end of this year. The U.S. central bank increased rates in March and forecast at least two more hikes for this year. The number of people receiving benefits after an initial week of aid decreased 87,000 to 1.71 million in the week ended May 5, the lowest level since December 1973. Declining continuing claims underscore tightening labor market conditions and support economists' expectations that wage growth will accelerate in the second half of the year. The labor market and regional factory data added to upbeat reports this week on consumer spending and industrial production in suggesting that economic growth was picking up early in the second quarter after slowing at the start of the year. 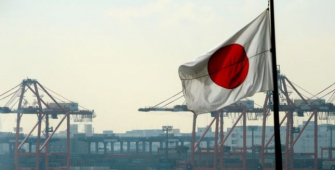 The value of Japan's exports grew at fastest pace in three months in April partly due to a boost in shipments to the US but still ended up missing economist expectations. Exports in April increased 7.8 percent year on year, according to figures from the Ministry of Finance, accelerating from a rise of 2.1 percent in March but still fell short of a median estimate of 8.1 percent from economists polled by Reuters. The value of outbound shipments to Asia accelerated to a year-on-year growth of six percent as exports to Hong Kong exited contraction with a rise of 1.3 percent and growth in direct shipments to China edged up 0.1 percentage points to 10.9 percent. 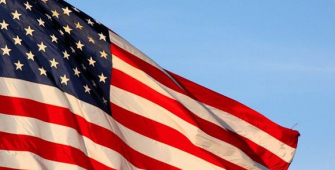 Exports to the US accelerated from March's rise of just 0.2 percent to mark an increase of 4.3 percent in April. Imports were up 5.9 percent from the previous year, rebounding from a 0.6 percent contraction in the previous month, the first decline since 2016, but also missing economist expectations of a 9.6 percent growth. Those trade flows unraveled a ¥626 billion (about $5.6 billion) trade surplus that easily surpassed a forecast of ¥405.6 billion and marked only a moderate decline from March's surplus of ¥797 billion. Stocks ended higher on Monday as trade tensions between the U.S. and China eased for the moment, while investor sentiment was also lifted by news of dealmaking activity. 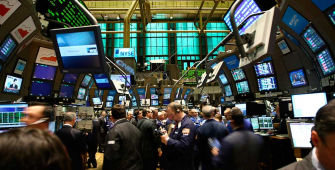 The Dow Jones industrial average soared 298.20 points to 25,013.29. Boeing, Caterpillar and United Technologies, big exporters likely to benefit from easing trade tensions, were the best-performing stocks in the index. Monday also marked the first time since mid-March that the Dow closed above 25,000. The S&P 500 rose 0.7 percent to 2,733.01 as industrials were up 1.5 percent. The Nasdaq composite gained 0.5 percent as 7,394.04 as semiconductors pushed tech higher. U.S. Treasury Secretary Steven Mnuchin said on Sunday the United States and China had agreed to drop their tariff threats on billions of dollars worth of each country's goods, while China on Monday praised a significant dialing back of tensions. Nine of the 11 major S&P sectors were higher, led by the technology sector's 1.21 percent gain. Apple, which counts China as major growth market, rose 1.4 percent, giving the biggest boost to the S&P 500 and the Nasdaq. The industrial sector gained 1.20 percent, led by a 2.4 percent jump in Boeing, which sells about a fourth of its commercial aircraft to Chinese customers. Caterpillar gained 2.3 percent. Wall Street also got a boost on Monday amid a slew of dealmaking news. General Electric will merge its transportation business with Wabtec — a rail equipment maker — in a deal worth $11.1 billion. GE shares rose 2 percent. Meanwhile, Fifth Third Bancorp agreed to buy MB Financial for $4.7 billion in cash and stock. MB Financial shares soared 12.9 percent. Oil prices fell on Wednesday as the market experienced a respite on expectations that OPEC may lift production as early as June, despite geopolitical risks providing support for the market. 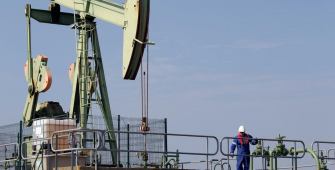 Brent futures slipped 4 percent to $79.53 per barrel, after rising 35 cents on Tuesday. In the previous week, the global benchmark reached $80.50 per barrel, the highest since November 2014. U.S. WTI crude futures fell 2 cents to $72.18 per barrel, having risen on Tuesday to $72.83 per barrel, its highest level since November 2014. In a note, ANZ said that geopolitical risks have kept investors on edge. U.S. Secretary of State Pompeo had laid out demands for Iran to stop all uranium enrichment and give nuclear inspectors access to their entire nation. But the lender sid that investors are also focused on the upcoming talks between Russia and Saudi about whether they should consider a controlled easing of over-compliance with their output cut agreement. 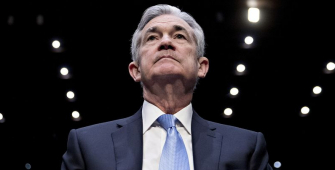 Federal Reserve officials at their meeting earlier this month signaled they were likely to raise their benchmark short-term interest rate at their June meeting, and they debated how to characterize an evolving policy strategy that soon would no longer try to stimulate economic growth. Minutes from the meeting, which ended May 2, reveal Fed officials are on track to raise rates again in June. The minutes also indicate officials are less worried about inflation rising above 2 percent, its current level and the Fed's target rate, than they are about the rate of inflation dipping again. “Most participants judged that if incoming information broadly confirmed their economic outlook, it would likely soon be appropriate for the FOMC to take another step in removing policy accommodation,” the minutes said. The readout of the meeting included a call by some policymakers to revise the Fed's monetary policy statement soon to reflect that rates would be close or above long-run estimates before too long. Fed policymakers at the meeting decided, as expected, to keep the benchmark overnight lending rate unchanged in a target range of between 1.50 percent and 1.75 percent. Traders in the federal funds futures market currently see more than a 90 percent chance of a June rate hike.